The device is 4G-LTE enabled with 6-inch qHD display, 3000 mAh battery, 8MP rear camera and 5MP front camera, 1.3GHz quad core processor, 1GB RAM and 8GB ROM (expandable to 32GB), android lollipop 5.0 and bluetooth 4.0. Smartphone maker Micromax on Tuesday launched Canvas Mega 2 with a six-inch display and long-lasting battery at Rs 7,999. The device is 4G-LTE enabled with 6-inch qHD display, 3000mAh battery, 8MP rear camera and 5MP front camera, 1.3GHz quad core processor, 1GB RAM and 8GB ROM (expandable to 32GB), android lollipop 5.0 and bluetooth 4.0. The mobile video traffic is expected to grow at a CAGR of 88 percent between 2014 and 2019. "Mobile gaming is another big area of growth. This has led to the phablet category's phenomenal growth of 190 percent in 2015 over previous years," said Shubhajit Sen, chief marketing officer at Micromax Informatics , in a statement. 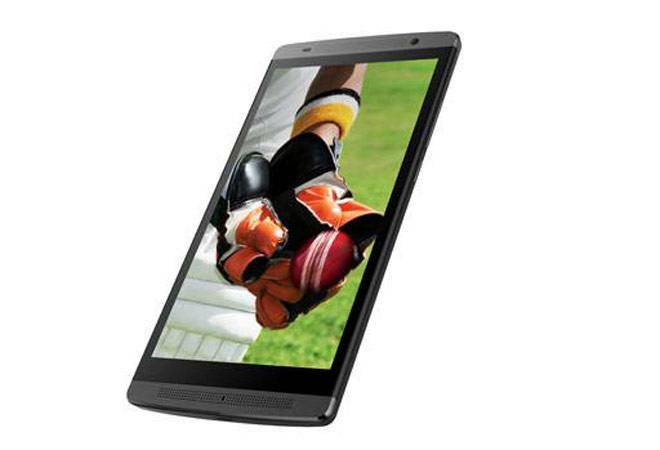 Micromax enjoys a market share of over 15 percent in the phablet segment with Canvas Doodle and Canvas Mega series. "With the launch of Canvas Mega 2, we will drive the value for money phablet category in the country by addressing major consumer pain points of better viewing experience and more productivity on-the-go at disruptive price points," Sen added.